The sun was beaming down on March 1, 2014 when I took the bus into downtown San Miguel de Allende. I jumped off at the Organic Market that is held every Saturday morning. This market is run by a non-profit organization called TOSMA that seeks to promote ecological, organic and sustainable culture and provides education about environmental protection. Held in a large courtyard, this market attracts local and tourists alike. 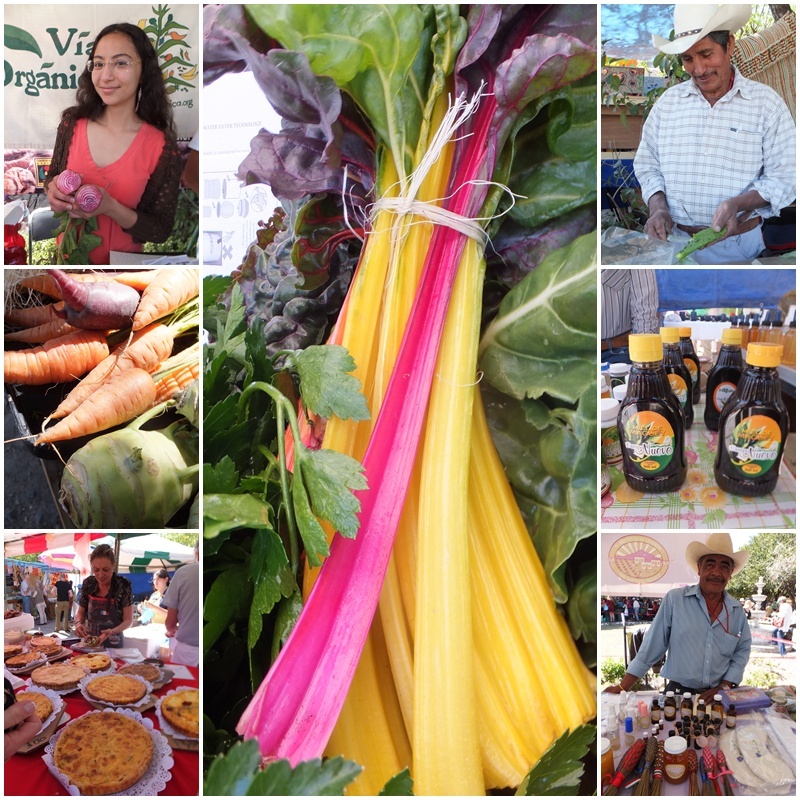 The Organic Market of San Miguel de Allende has all sorts of merchandise, such as organic fruits and vegetables, honey, preserves, handicrafts and Mexican food and drinks. It is also a favourite hangout for many of the American and Canadian expatriates who have made San Miguel their home or spend a few months a year there. Usually, there is some live music to entertain the visitors of the market, and the atmosphere is very relaxed and friendly. I had a chat with many of the merchants and they were friendly and educated me about their products and life in San Miguel de Allende. Quite a number of the merchants were expatriates from the US and Canada who had created a business selling various kinds of merchandise to the visitors at the market. I connected with two nice gentlemen, Ron and Fred, whom I had already met on the plane from Dallas. They have been living in San Miguel for 8 years and absolutely love it. 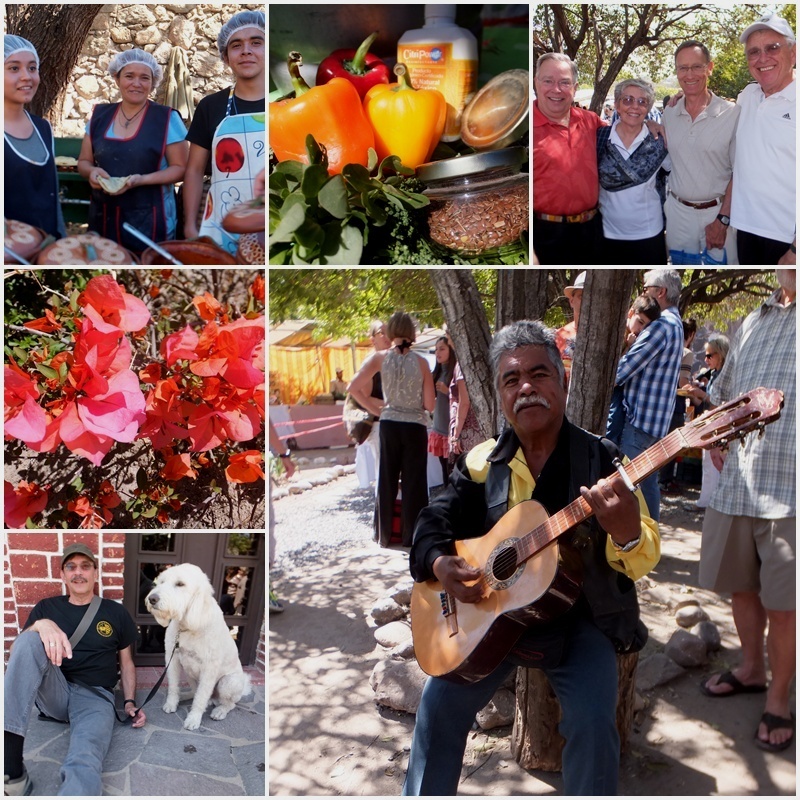 A visit to the Organic Market of San Miguel de Allende is part of their weekly Saturday routine. Various expatriate retirees were congregating and chatting, creating a very welcoming atmosphere. 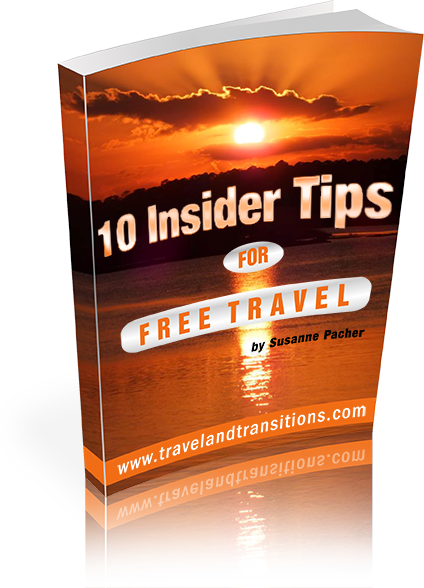 I also met a couple in their 50s and their beautiful white labradoodle dog; they had driven down all the way from Traverse City in Michigan to spend a few weeks in San Miguel. 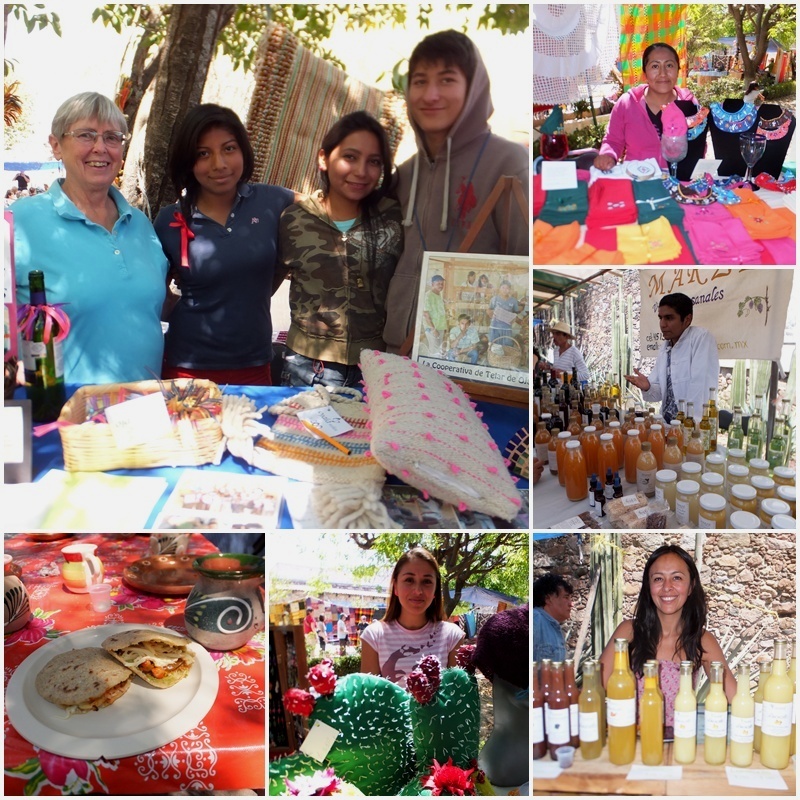 As I walked around the stalls of the Organic Market in San Miguel de Allende I realized that there were quite a few non-profit and charitable organizations represented that were selling products to fundraise for their projects. One project was dedicated to providing skills training to single mothers and widows, and the products they produce – organic creams, shampoo, cosmetics and health products – are helping fund their training. Another project was raising funds for an after-school literacy program. San Miguel de Allende has more than 80 NGOs and charity organizations that dedicate themselves to helping the local community. In addition to the charities, the market also has live music and real Mexican food. I sat down for a bit and enjoyed two “gorditas”, soft tortillas filled with chickpeas and guacamole, and washed them down with an “agua de jamaica”, a pleasant ice tea made of hibiscus flowers. After this tasty Mexican snack I was ready to head out into the countryside and explore one of San Miguel’s rural boutique hotels – La Hacienda Purisima de Jalpa.